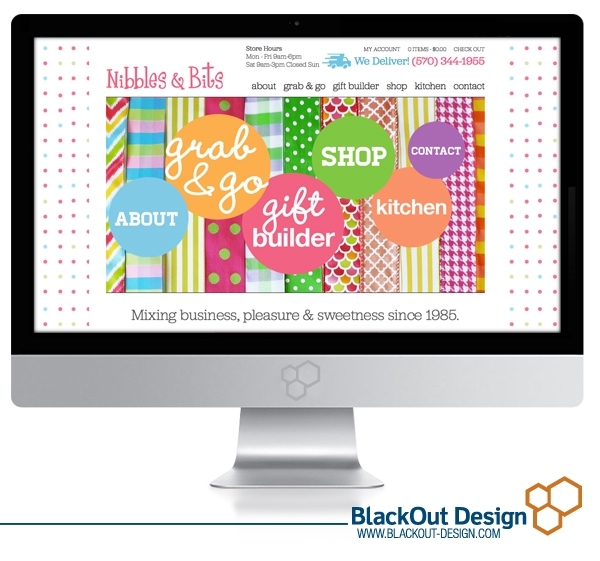 Just in time for holiday shopping, we’re proud to announce our newest completed website for Nibbles & Bits! Our goal was to create a site that was both fun and functional. Taking cues from owner, Maggie Calpin Hemak’s adorable storefront, our designer used bright and cheery colors in patterns of polka dots and bubbles throughout the design. The result is a functional e-commerce site that reflects not only the brand image, but the experience every customer has as they walk through Maggie’s quaint shop.